Should You Take a Vacation While Paying Off Debt? A few small sacrifices will pay off in the long run. Whitney Hansen, Money coach, host of award-winning podcast "The Money Nerds"
Have you ever wondered if it’s a good idea to take a vacation while you are in the midst of paying off debt? This is one of the top five questions I hear most. How long before you will be out of debt? How quickly do you want to be out of debt? However you answer these questions will help make that decision for you. Alright, so you ran the numbers and found that you will be out of debt within a couple years max. In cases like these, I do NOT recommend spending money going on a vacation. This is the time to prioritize your financial life. Sacrifice and do the hard things now. Train yourself to say no in the short run and you will be able to say yes to more in the long run. Because you are so close to being debt free, anything you can put towards debt will make a big difference in the debt during this time. Keep your head down. Stay in the trenches. Don’t let your short term desires slow you down. There is a very bright light at the end of the tunnel and you are within steps of being there. Instead of spending $2,000 on a vacation, save up a little money after you are out of debt. Once you are out of debt, pretend that you are still making your debt payments. Put that money directly into a savings account and take an incredible vacation, paid for in cash, to wherever your heart desires. This is a great way to reward yourself for hitting your financial goal. This is the time to prioritize your financial life. Sacrifice and do the hard things now. Train yourself to say no in the short run and you will be able to say yes to more in the long run. 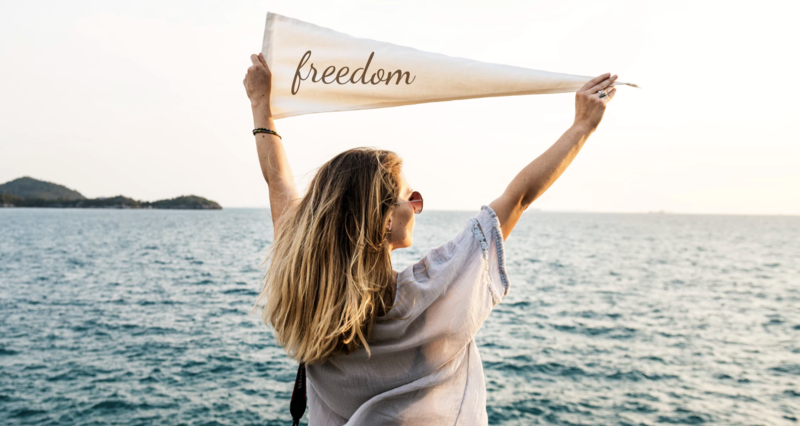 If your journey to debt freedom is going to take you up to five years, you might consider taking a little bit of money and going on a very inexpensive vacation. Here’s the kicker… personal finance is as much about the small wins and building up your confidence as it is about the length it takes to pay off debt. It’s hard to sustain, let alone stay motivated, if you drag paying off debt out too far. Small weekend trips after you hit major milestones. This is a tricky situation, because after a few years, the level of motivation is highly likely to go down the drain. It’s not easy to stay motivated for one year, let alone six. Because of the length of time it takes to pay off debt, you’ve got to find creative ways to reward yourself for a job well done. One larger ($1,500 or less) trip for every $20,000 paid off, with small weekend trips after hitting major milestones. Don’t let yourself lose sight of the extremely inspiring journey you are going on. Your wins will come from consistency and you may not see the progress you hope for as quickly. The way to combat this disappointment is by giving yourself small rewards when you hit major milestones. For example, once you pay off $2,000 in debt, you will take a weekend trip ($500 or less). And once you pay off $20,000 in debt, you will go to a resort in Mexico for $1,500. Keep in mind these are guidelines. It’s called personal finance, because it’s personal- it’s what works best for you. However, I have directly coached and watched others that achieve amazing results by prioritizing paying off debt more than vacations and “fun” in the short term. If you haven’t checked out the free workshop “How to pay off debt,” you are in for a real treat. This short workshop (15 minutes) will show you exactly how powerful those small decision are when it comes to paying off debt. You can be debt free with a few small sacrifices! Go get em’ tiger! Cheers to forever living debt free. This post was originally published on WhitneyHansen.com. Whitney Hansen is a money coach, content creator, host of a Plutus award-winning podcast, The Money Nerds, adjunct professor, Facebook Small Business Council Member and founder of a popular millennial finance blog- WhitneyHansen.com. As a money coach, she teaches overwhelmed millennials how to accelerate paying off debt and be financially independent. Some of her accomplishments include paying off $30,000 in 10 months, buying her first home at 19, and paying $472 for her master's degree.